Welcome to the Third day of Christmas, today I have a very simple tag, because sometimes you don’t want to put all that work in to a card or tag if the reciepient isn’t going to really appreciate it. 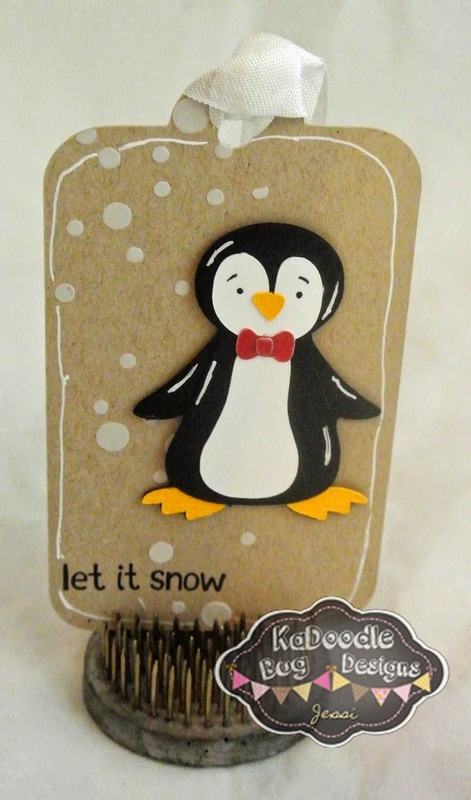 I used "Holiday Penguins" from Kadoodle Bug Designs. For this tag I used a sencil fromHeidi Swapp and some Molding paste. I also used a sentiment from Lawn Fawn. So darn cute! Love how you made the snow! Your tag is so adorable! #2 please. I agree. Always nice to have quick things to whip up. Let's go with #1 today.